Are you too skinny? Do you think getting into a perfect shape is a quixotic dream? Not anymore. There is an answer to this. There is nothing to worry because it is quite easy to overcome this issue if you abide by certain procedures. Let me share with you the “Indian Diet Plan For Weight Gain” to help you with your problems. We are obsessed about eating ‘healthy’ food, but mostly, we just follow the trends. It is difficult for us to collect knowledge about what we should be eating and hence, we rely on doctors, nutritionists and experts. But the problem with food or anything in life is that everything is connected. What we eat is actually political. Our foods habits are interconnected to economics, political atmosphere, agriculture etc. Decades back, we ate ghee, rice, coconut and sweets. But now, we are obsessed with ‘health’ which is a good thing. However, is the food which is sold to us with the tag – ‘healthy’ – really healthy? We don’t think twice before eating a Marie biscuit, but we are paranoid about not eating ghee. We are not afraid of processed food but we are afraid of Indian food. India’s current food habits are influenced by colonization. The ‘nutritionists’ and authorities who talk about obesity and diabetes are changing their mind all the time. Time and again Indian “Desi” Foods has been despised. But food like Ghee, when eaten with rice, dal or sabzi is actually good for diabetes, cholesterol etc. Sweets are not completely poisonous. You can eat rice at night and rice is not exactly the reason why you put on weight. Imitating western food habits is a bad idea because Indians live in a different climate and their bodily needs are different. Listen to your grandmother and her age-old wisdom. That indeed helps. 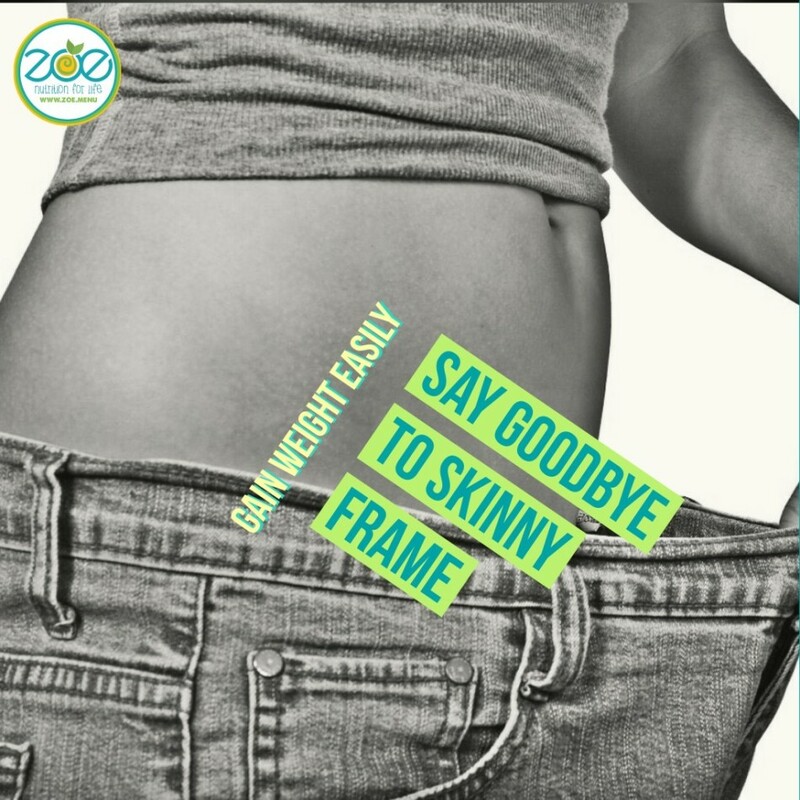 Get rid of that skinny frame with these awesome and trusted tips to gain weight naturally! People, who can afford to put on those few extra pounds rapidly, should adopt natural ways in which they can look strong and stout. Indian diet plan to gain weight is a perfect concoction of quintessential and easy tips. We Shall Discuss Indian Diet Plan for Weight Gain along with some other necessary inclusions to achieve the target. Ghee – Try to include ghee in your diet, especially with Roti which helps in weight gain. Rice – As it has high carbohydrates, it is beneficial for an underweight cure. Dried fruits – You can gain quick calories by eating dried fruits instead of fresh fruits because they have more calories and are still very nutritious. Yoghurt – The healthy fruit-flavoured, fatless yoghurt can give you as much as 118 calories. Include it in your daily diet for quick weight gain. Bananas – One banana contains approximately 100 calories. Not only are bananas rich in carbs and nutritious, they’re also great for workout fuel. Nuts and seeds – Nuts and seeds contain polyunsaturated fats that add healthy calories to your diet. Nuts like almonds, walnuts and pumpkin seeds are good for you and your health. Beans – Beans are good protein substitutes for vegetarians, who want to share the benefits of animal proteins. Chicken breast – Chicken breast, is supposed to be the healthiest and non-fat part which has approximately 78 calories for each serving. Potatoes – Potatoes are rich sources of carbohydrates and complex sugars. Consume as grilled or baked potatoes for quick weight gain. If some people have been devising a skinny way, then one must also remember that each body type has its own weight gaining pattern. All we need to do is to familiarize ourselves with it. What more can you ask for if you are free to choose and plan your diet? Eat, eat and eat. It is always advised that you visit a professional dietician who after a physical checkup would plan a diet chart according to your Body Mass Index (BMI). The trick is simple: consume more calories so that your body gets more to burn. The aim is not to overeat but to eat more at short intervals of time. In between your meals, make sure you keep a few energy bars, freshly cut fruits or some dry fruits handy. Have two handfuls of cashews and almonds to gain weight through natural way. Start gymming! It is the best and the most natural way in shaping and toning your body up. Regular sets of weights and combinations help build your muscle mass over a stipulated period of time. Go ahead! Show the fitter you. Gaining weight is not about putting on some weight. It is also about building your body strength while you manage to add more weight to your fragile frame. If you aim to do it naturally and quickly, you must be disciplined in your routine apart from maintaining a healthy diet pattern. At times, the problem of being too skinny does not lie only in the genes but also in the metabolism factor. In such cases, any external, artificial and synthetic supplements can be of little advantage. These pills are built on a single-function basis which is prepared to keep in mind the larger consumption picture. Have protein powders or shakes available in the market. One must keep in mind the difference between weight gain powders and protein powders. Weight gain powders tend to have small amounts of steroids and other such elements that might show results initially, but only cause damage in the long run. Mix your protein powder with water or a glass of warm milk. If you feel like, add a teaspoon of chopped almonds to make the drink filling and tastier. Apart from that, add more protein to your daily diet. Foods such as salmon, mackerel, red meat, eggs, and shrimps can actually help you gain weight the natural way in a very short period of time. One must keep the diet and the exercise routines consistent for best results. Indian Diet Plan for Weight Gain is indeed a miracle worker and leave us to think how our lofty dreams can be realized so easily. Also, it is a myth that Green or Herbal tea only helps in weight loss. Herbal tea can help you to optimise your metabolism rate and maintain it at a required level. It also acts as a detox which helps in cleansing your toxins, releasing stress levels, higher energy. Under Indian Diet Plan for Weight Gain also come the herbal juices, which provide you with essential nutrients to cope up with your low weight. Zoe offers medley of herbal tea and juice products to optimize your health quotient. If you want to know about whether to go for cold pressed juices, do read our blog. Indian Diet Plan for Weight Gain is not exactly a routine but the foods you have any time as per your convenience to increase your weight. It definitely worth a try.